Frontier Village/ Lk. Stevens area. 'Like New' 1999 Marlette Mfg. Hm. 1,188 Sq. 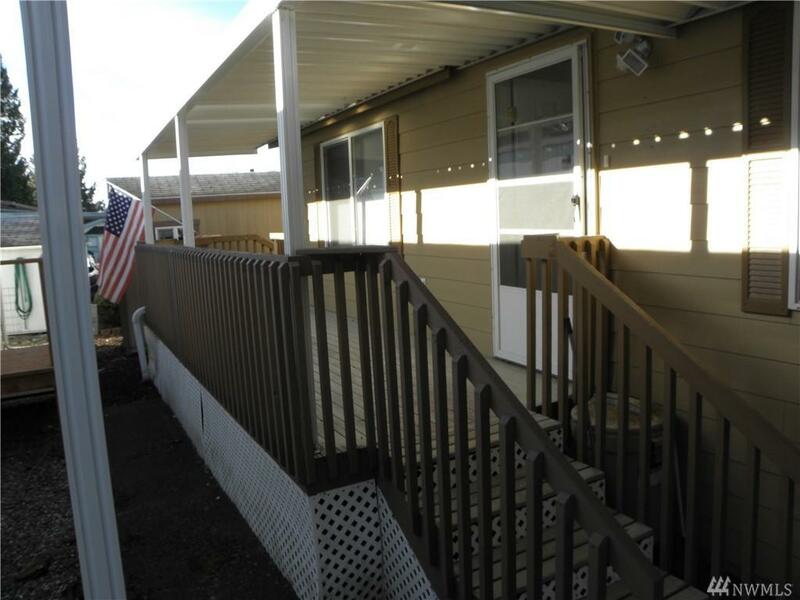 Ft., 3 Bedroom & 2 Bath, Cement lap siding, 2 y/o roof. 'Brand new' Intr. 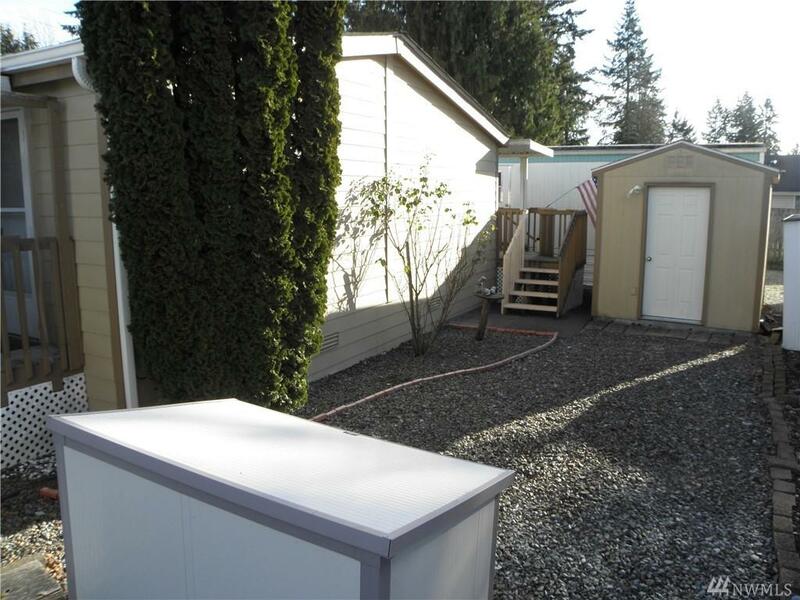 Paint & Carpet, , Corian counters w/ under mount sink, skylights, walk- in closets. 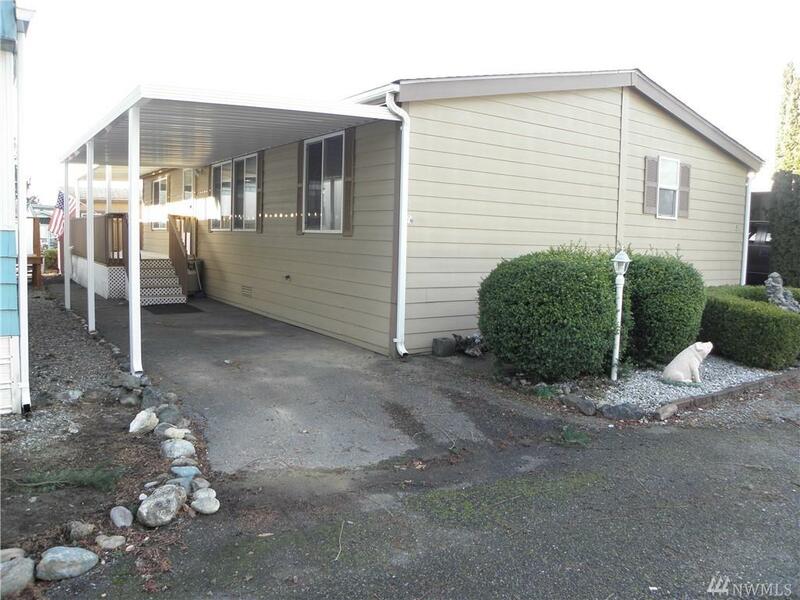 All appliances stay, covered front/ back porches, e-z care yard & w/ shed w/ power. 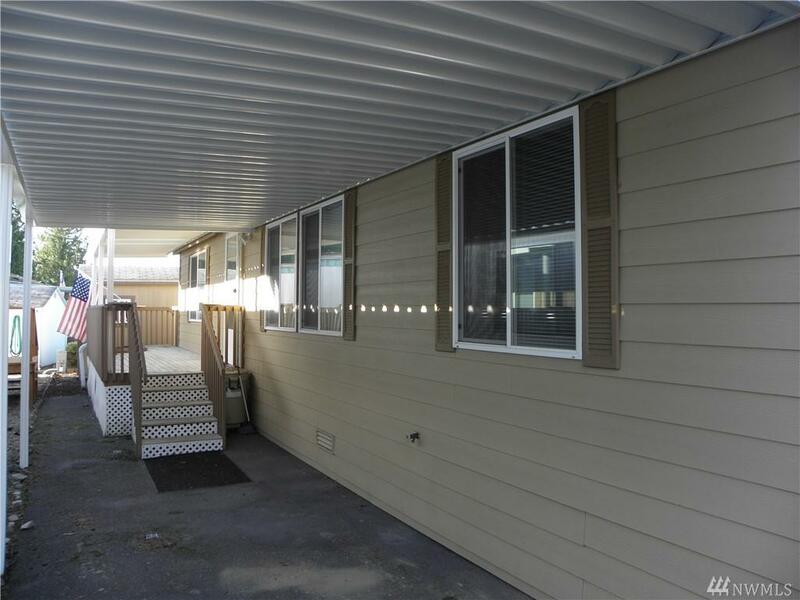 Located in quiet dead end street in Senior Park w/Lot Rent @ $659.00 p/m ( W/S/G incl'd ), Club house, R,V, Storage and minutes from Major Shopping/ Medical and Hwy 9 & 2. NICE!